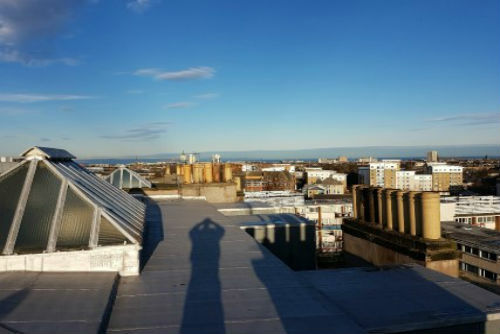 Flat Roofing Company – Tenement Roof Repairs. Felt roofing company based in Midlothian and carrying out roof repairs in Edinburgh, as well as Midlothian and East Lothian. 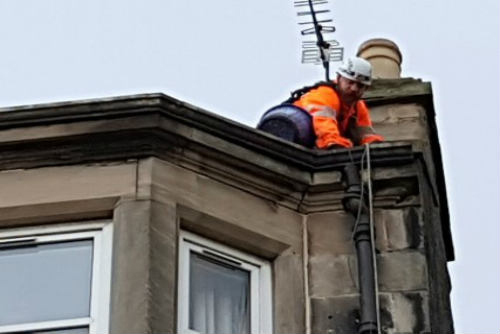 Delivering a reliable and professional approach to our clients roof requirements with all works big or small carried out to a high specification by our skilled team.Our team carry out annual roof maintenance on buildings such as tenements in Edinburgh using rope access as an affordable option. 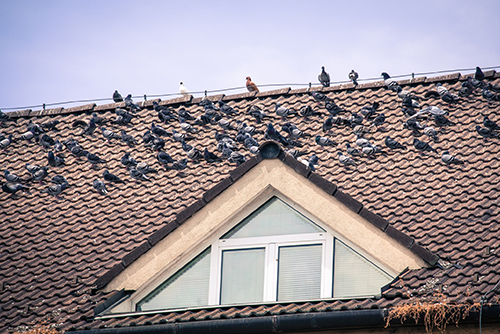 Stuart Hill Roofing Services have built a strong customer base over the 30 years due to our quality workmanship and excellent customer service. 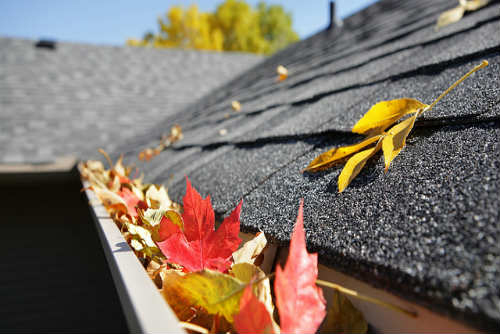 We have vast experience repairing roofs and guttering in Edinburgh, Midlothian and East Lothian. 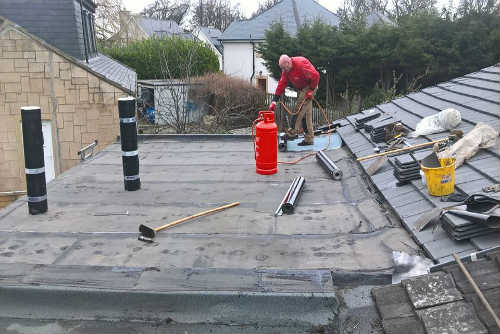 We continue to grow each year as more customers recommend us to their family and friends to do work such as garage roof repairs, chimney repairs, slating and tiling in Edinburgh, Midlothian and East Lothian. "I work as an estate agent and often have situations where we need a quick response. Ive used Stuart several times now and he has always provided a service that is beyond the call. He has been recommended now to several clients and he never lets us down." 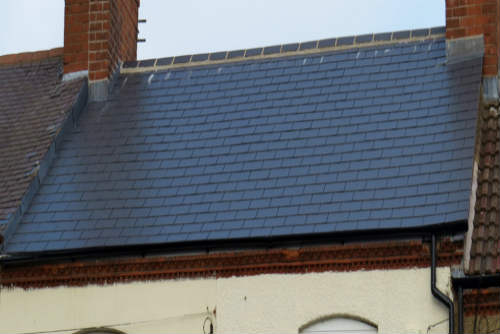 "Stuarts done a few jobs for me now and he has never let me down.His work is first class and he did a fantastic job with the felt roofing on my clients extension.I would happily recommend him as a first class professional." "Job done Every Quickly With No problems"
"Needed a job done quickly Stuart came round and did the job solved the problem quick and very professional I would recommend him." Stuart Hill Roofing Services are proud members of East Lothian trusted trader scheme. Approval of the trusted trader scheme requires strict vetting and insurance policy checks to make sure only genuine roofers are recommended. All reviews submitted to the scheme are checked before they are submitted to the East Lothian council trusted trader website, check out our reviews here. It costs a few quid to become a member to cover administrative costs etc but we think it s worth it. There s nothing worse than being ripped off by Cowboys playing at being roofers, carrying out substandard work and charging an arm and a leg. Thats why you should always get a recommended roofer to get your roof repairs done and there no better recommendation than the local council.